Earth Diggers take up all kinds of Earth Moving Magill services to perform their best in digging service. Trained and equipped personnel are recruited in the company that will offer service that is exclusive of others. Regular training sessions are held to work on drawbacks and get prepared for future projects. Tools and machinery are an integral part of the company as it decides the quality of service provided by us. Each project is handled with equal importance and focus is given on meeting deadline of each and every project we undertake. Budget is the key thing other than quality when it comes to such services. Most of the time usage of high tech machinery increases the budget of a project. 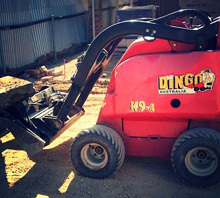 Here at Earth Diggers we maintain a affordable budget along with good quality.